It’s Friday night. You’ve had a couple of drinks. The bar is closing and it is time to go home. You don’t live very far, maybe about 10-15 minutes. You feel confident about your driving abilities and bid your friends adieu before getting behind the wheel. Next thing you know, your car is going too fast toward a tree and you don’t have the time to slow down before impact. This occurrence happens every two minutes. That’s right, every two minutes someone is injured by a drunk driver. One life is lost every 20 minutes because of a drunk driver. More than 45 people die every day and more than 300 people die every week because someone overestimated their alcohol levels. Our reaction time slows by 15-20 percent, so we have a decreased ability to react quickly to a changing situation. Our eye muscle function slows by 32 percent, which alters our eye movement and visual perception, both of which result in blurred vision and keeps us looking more straight-forward. Our depth perception is off, meaning we cannot correctly judge the distance from other vehicles, road signs, or lines. We become drowsy, which just adds drowsy driving to drunk driving. We do not have the ability to make rational decisions. The person believes they are not as drunk as they actually are. They have an overinflated sense of superiority that makes them think they can conquer the alcohol without any consequences. 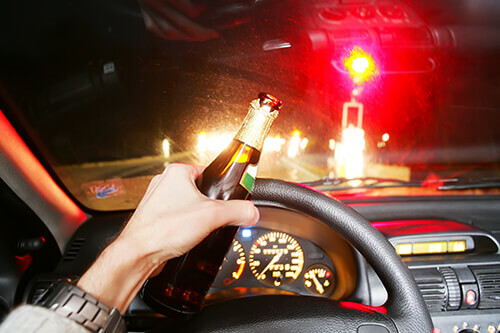 They believe that even though they have had alcohol, their driving skills are solid enough that they can at least make it home without crashing into anything. They think they’re being rational, even though their rationalization is suppressed, which leads them to think they are right no matter what. This leads them to rash decisions. They want to escape personal problems. Alcohol heightens emotions – it is a depressant, which means that when something goes wrong during the night, it is harder to rationally understand it and comprehend it. When this happens, many people just want to escape the situation, and to them, the best way to do that is in their car. They feel ashamed or afraid to call for pick-up. Especially for young drinkers, parents can be extremely tough and strict about drinking. This leads the young drinkers to do their best to avoid their parents finding out. It is no wonder why these kids make up the largest age group of drunk drivers. Over the past 20 years, more than 400,000 people have died in alcohol-related accidents and it is estimated that three out of every ten Americans will be involved in an alcohol-related accident during their lifetime. If you have been in a car accident caused by a drunk driver, de Lachica Law Firm, PLLC is committed to helping you with your personal injury case.